And it takes a showman of high caliber like Furne One to spray feast a magical and narrative night into his own made journey, just when it seemed like that feeling gone extinct due to recessions..but there he was, bringing the audience to his medieval -gothic world….a magical privilege. One’s astonishing feat of magic opened the show. A ghostly night, a mysterious puff of white smoke appeared from nowhere and spun in midair, slowly resolving itself into the moving, twisting shape of a woman enveloped in the billowing folds of a white dress with antler horns as headpiece. It was this opener-model in blonde hair and pale arms with gauze wrapped around the face..so goulish, trailing in a dream-like apparition of fragility and beauty that for a few seconds, shrank and dematerialized into the ether…..and the audience just threw their thunderous applause!!!!! The quality of the performance—and the extraordinary workmanship in the clothes that preceded, was a timely reconfirmation of Furne One’s unique powers as a showman-designer. 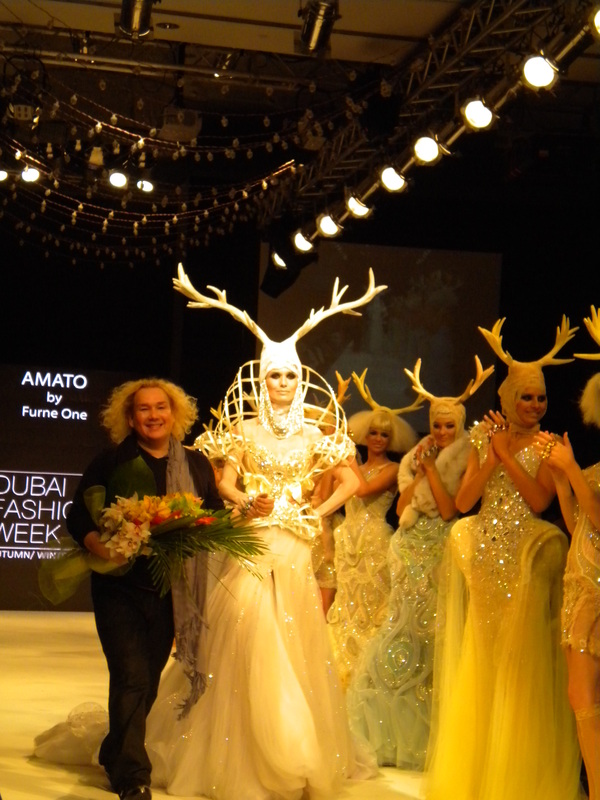 In summation, FURNE ONE, of all he has to offer in his way of fashion extravaganza…this show is definitely ONE of his best.Congratulations.